We’re here to assist you before, during and after your visit to Bona Dea International Hospital. Find everything you need to make your visit as pleasant and comfortable as possible. At Bona Dea International Hospital, we respect the rights of all patients, which are guaranteed by state and federal laws. The Hospital does not discriminate against any person on the basis of race, color, national origin, ethnicity, culture, disability, age, religion, socioeconomic status, gender identity or expression, source of payment, or any other characteristic protected by law, in admission, treatment, or participation in its programs, services, and activities. Bona Dea International Hospital has open visiting hours. To provide patients with more support from their loved ones, there are no set visiting times. Patients or a support person, selected by the patient when he/she is admitted, may decide who visits and when. Visitors may include but are not limited to a spouse, another family member, or a friend, for emotional support during the course of his/her stay. Please note, for the well-being of our patients, members of the care team may limit visiting. Our staff will work with visitors and patients, especially those in semi-private rooms, to allow patients time to rest and sleep. The International Patient Services Center offers a comprehensive range of services for international patients and visitors. Our staff is dedicated to providing services including consultations, diagnostic services, billing and insurance, travel and lodging arrangements and language interpretation services. Our team will serve as your guide to Bona Dea’ world-class medicine. Our dedicated team seamlessly combines your medical needs, individual preferences and cultural, linguistic and religious expectations and serve you that makes Bona Dea feel as close to home as possible. Not from Azerbaijan? No Problem. We can help you to plan your visit. 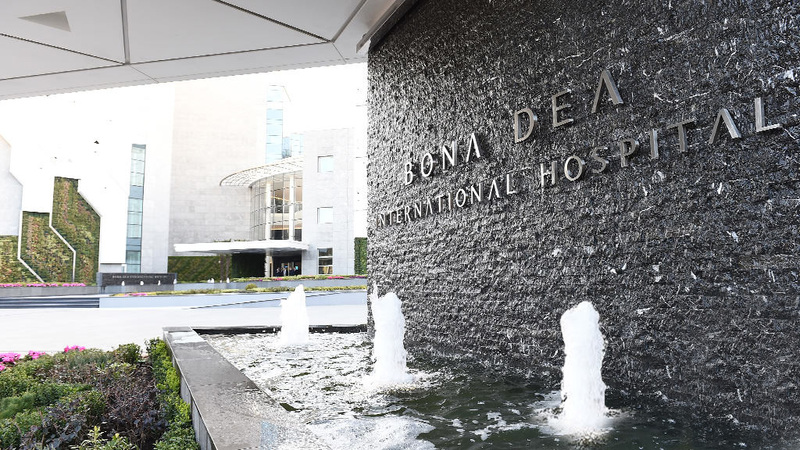 Why choose Bona Dea International Hospital? Our hospital’s greatest strength is the passion of our investors to implement a challenging, span-new and unique concept in the Caspian region: a hospital based on western, European quality care. This implies that offering the highest standards of European health care services is the main purpose of our hospital. We aim to achieve this goal by working with a large European medical, paramedical and management staff and by partnering with leading medical institutions within the EU.